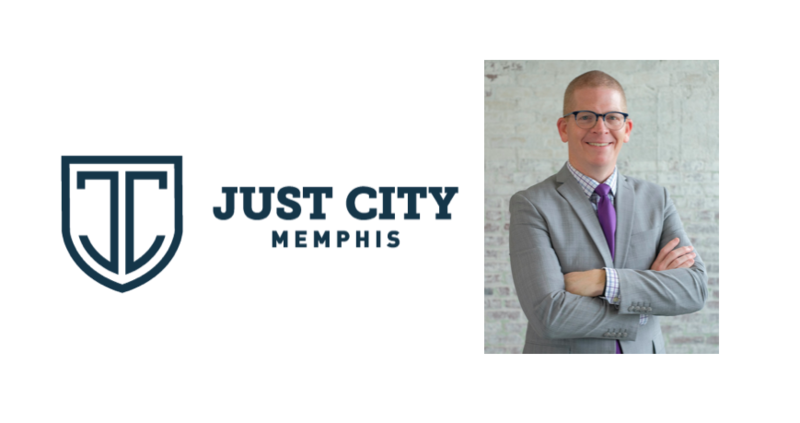 Just City's executive director Josh Spickler calls the policy "failed" and "destructive." 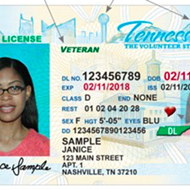 Just City and others asked a federal judge Wednesday to make state officials immediately re-instate the drivers licenses of some 250,000 Tennessee drivers whose licenses are currently suspended because they couldn't pay traffic tickets. 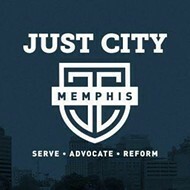 Last week, Just City, the Memphis nonprofit criminal justice reform agency, and other national and state groups, filed a class action lawsuit to stop the practice. The practice criminalizes poverty and disproportionately affects African Americans, according to Just City. In Tennessee, African-American drivers are four times more likely to lose their licenses for not paying traffic tickets than white drivers, Just City said. The suit was filed in the United States District Court for the Middle District of Tennessee in Nashville. 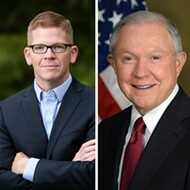 It names David Purkey, Commissioner of the Tennessee Department of Safety and Homeland Security Commissioner, as the primary defendant but also the court clerks in Rutherford and Wilson Counties and the clerks of Lebanon and Mt. Juliet. 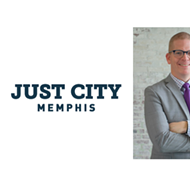 We caught up with Just City's executive director Josh Spickler before he left for the hearing in Nashville. Memphis Flyer: What are you asking of the court and why? Josh Spickler: The attorneys in this case have asked for immediate relief for the plaintiffs. That immediate relief is the re-instatement of their drivers licenses. There’s a hearing to hear evidence about that, whether the (United States District Court for the Middle District of Tennessee) in Nashville will order the state to reinstate those driver licenses. MF: Is this something that could happen? JS: We believe they are entitled to it. The framework the state has established and continues to pursue around drivers licenses, we believe to be unconstitutional and lacking in due process. These people are being unduly punished by not being able to move about their communities for medical care, for school, for work, for family purposes. So, we believe the court should do this because there is really no other relief right now. MF: I’m sorry. I didn’t want to make it sound like it couldn’t happen. JS: It would be in some ways unprecedented. But it’s also unprecedented to have a quarter of a million people lose their license simply because of nonpayment. These are bad policies and behind bad policies, there are clear damages to people, to Tennesseans. It’s not necessarily a common thing for this to happen or for people to even ask for this, but we think it’s that big of a deal. It’s that important. MF: People are going to say, “these people got tickets. Didn’t pay. 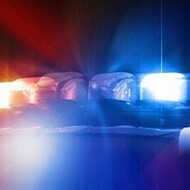 They’ve done wrong and they need to pay the fine.” What would you tell those folks? JS: That’s absolutely right. You have reposnsbilities as a driver, as a citizen of this state, that you have to meet before you are allowed the privilege — and it is a privilege to drive on our streets and highways. But what we’ve seen, though, there is no room for anyone who does not have the ability to pay. So, were there mandatory payment plans in all 95 counties, were there hearings being afforded to people who can’t pay quickly and easily on why they can’t pay, then that’s a different story. But what we have across the state are licenses being suspended without those things, without those safeguards. I think that’s the difference. Of course, people should be expected to pay their obligations. We have an obligation to make sure the people who are driving are duly licensed. But what we have instead is something that punishes you just because you’re poor and and for no other reason and that disproportionately affects people of color, we found. MF: Talk about that last part a bit more. JS: What we found is that people of color are four times more likely to lose their license for these reasons than others. About 20 percent of the suspensions were in Shelby County and 85 percent of those were of African American drivers, when 53 percent of the population of Shelby County is African American. So, that gives you some indication of the disporporoitinate nature of these suspensions. MF: You’ve said before that losing your license has rippling effects in the lives of these people. Can you talk about that a little? JS: A former client of mine, his license was suspended for nonpayment and of costs that were completely unrelated to driving. They were related to a case he was on probation for, a case he had completed probation for. He'd done everything that had been asked of him, except for the payment of some pretty substantial costs. The state suspended his license under this law we’re suing over. They sent him a notification but he'd recently moved and had a new job and moved into an apartment on his own. He was working steadily. On his way to work, he was pulled over. The officer told him his license was suspended. They arrested him and impounded his car. He didn’t make it work that day. He didn’t make it to work for the next week while he dealt with court, getting out of jail, and getting his car out of the impound. So, he was nearly back at square one when he was released. But he didn’t have a license. He had a truck but he couldn’t drive it. He had to figure out how to get back and forth to his job. Usually, people in his situation continue to drive because they have to get to that job. If they don’t, they can’t eat. If they don’t, they can’t take care of their kids. If they don’t, they can’t buy their prescriptions. So, this does ripple out into all areas of their lives. MF: That was all I had. Is there anything you want to add? JS: We’re using the cimrinal justice system as a debt collection method for people who are behind on driving tickets. In that regard, a large portion of Shelby County’s cimrinal justice resources are dedicated to collecting debt. That, to me, is not how we should be using this system that is designed to keep us safe and rehabilitate those who come in contact with it. We’re using it for debt collection.